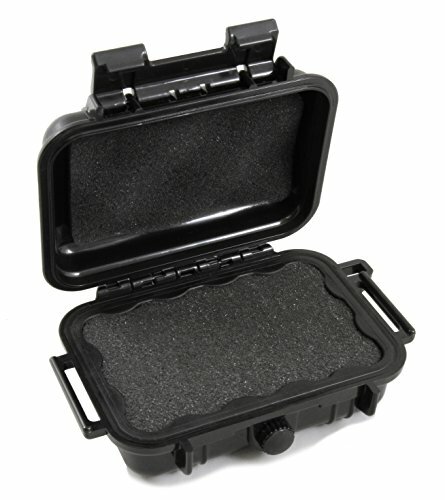 This hard case is easy to transport given its compact design and small nature. Throw it in a large coat pocket before a concert or discreetly keep it in your backpack or room. Measuring 5.75" x 4.0" x 2.0" in exterior dimensions, and internally fitting mini pipes within maximum dimensions of 3.5" x 2.0" x 1.25", this case is perfect for protecting your herb gear while traveling, at home or on the go. Interior Tri-Foam cushions consist of a convoluted foam top, a customizable pick and pluck center foam cushion (0.75" thick) and a foam border insert that keeps your smoking setup safe and organized. Simply remove the desired amount of foam to snugly hold your mini glass pipe.